I don’t have space to grow a full magnolia tree in the garden so I have these in large pots. The magnolia flowers are therefore smaller than one would find in trees. This is a white magnolia that has been in bloom since mid-March. 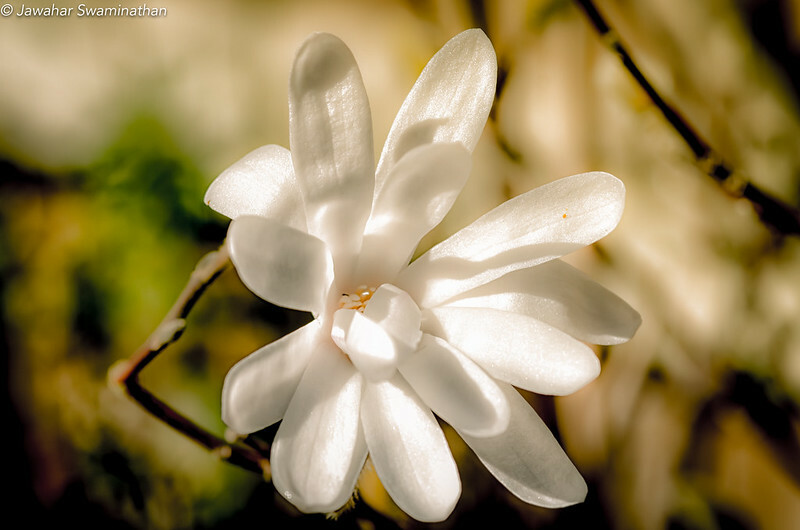 White Magnolia – See more viewing options on Flickr. f/6.3, 1/500, ISO100, 105mm macro lens. How beautiful! Magnolia blossoms are so beautiful and you captured the softness and delicate form so well. Thanks Pat! They are indeed such beautiful flowers. Previous Previous post: Dusting off the cobwebs! Next Next post: View from a bullring!